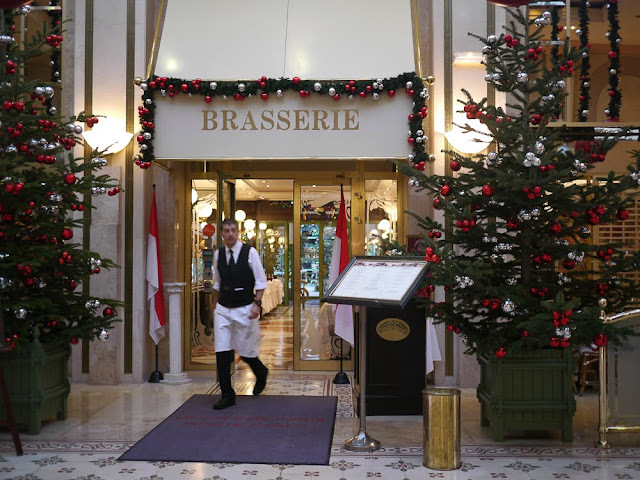 All decked out for the holidays - the side entrance to the Café de Paris. Love the Christmas decorations! I hope they're not too quick to take them down!